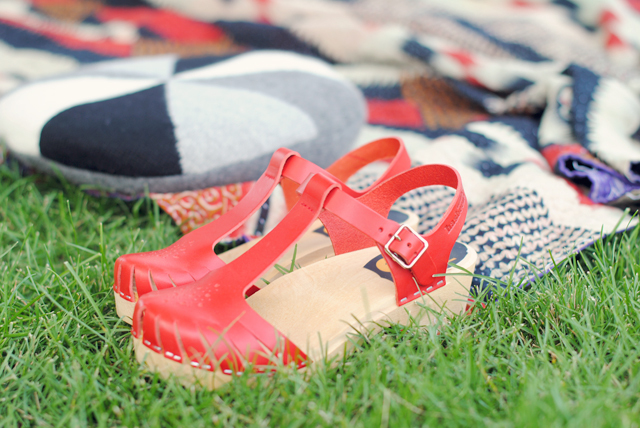 pirates and peonies: red shoes. Some fancy new, red shoes made their way into my closet (got them here). I am always a fan of red but I just never seem to like it on me. I love the low heel and I look forward to wearing these lovelies with some tights this fall. 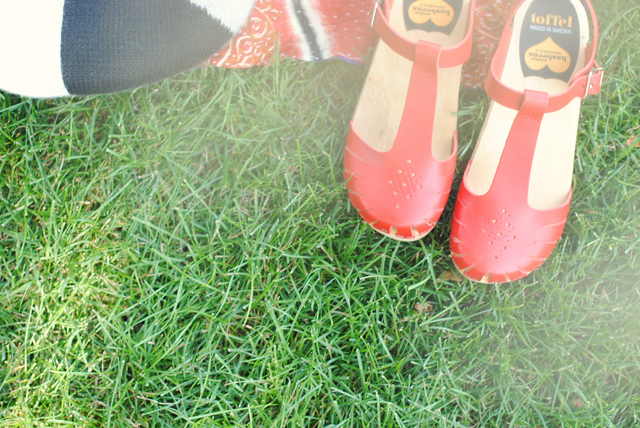 I plan on many more pairs of clogs making their way into my future - I am quite a fan of the look!